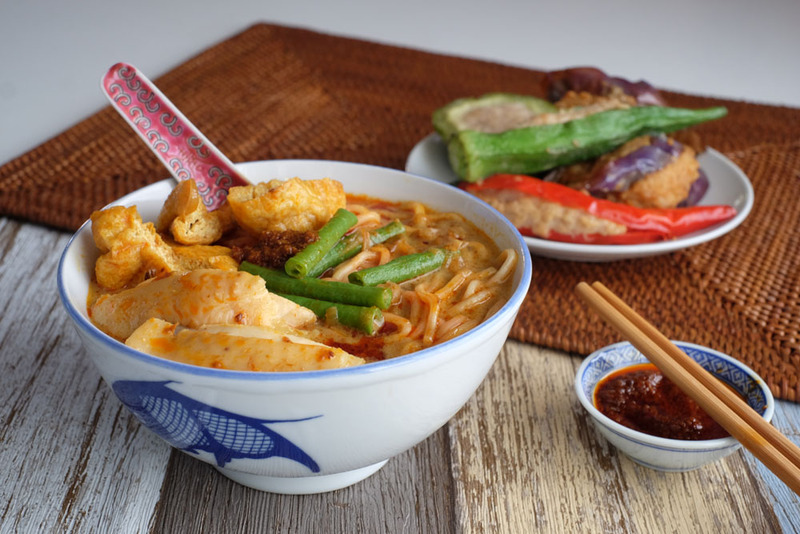 Learn to make Curry Laksa and Yong Tau Foo at a Malaysian family home. You will learn how make curry paste from scratch using 10 different local spices (many can be seen in our edible garden). 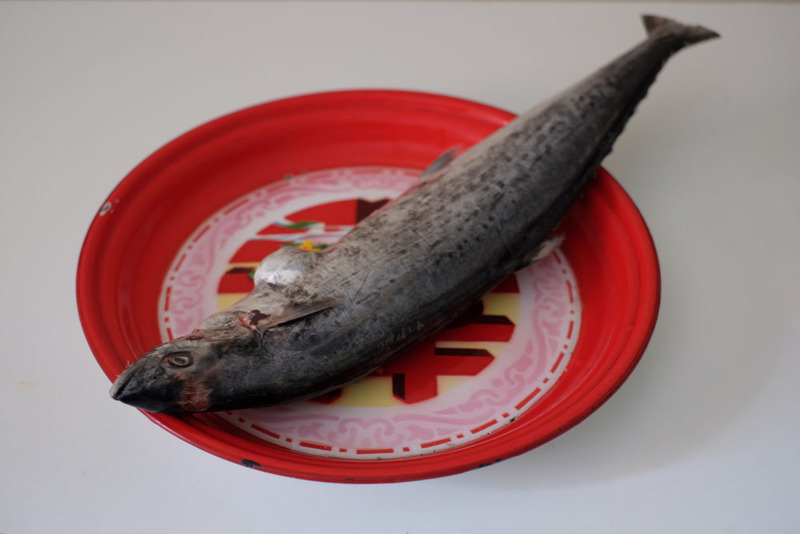 We will then make fish paste from a whole fresh fish and stuff them into fresh vegetables. 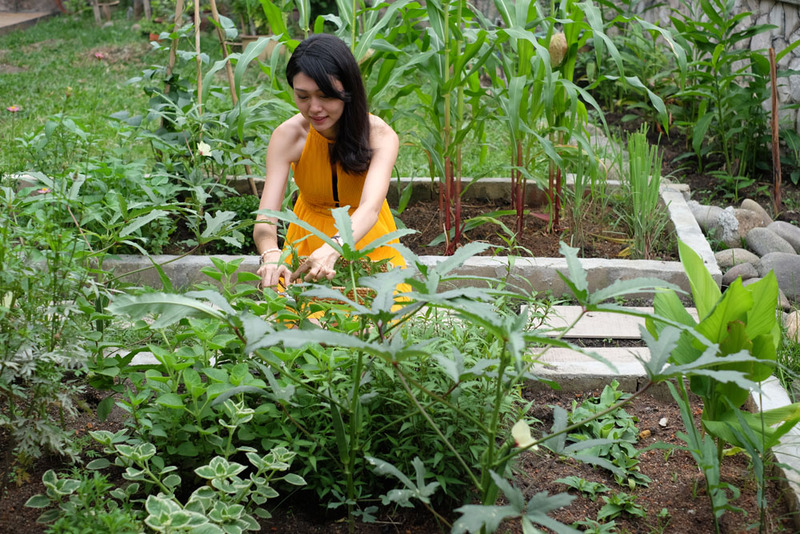 We will see, touch, smell, and taste a variety of local plants like blue flower, curry leaves, and turmeric. We may even harvest laksa leaves that we will use in our cooking! 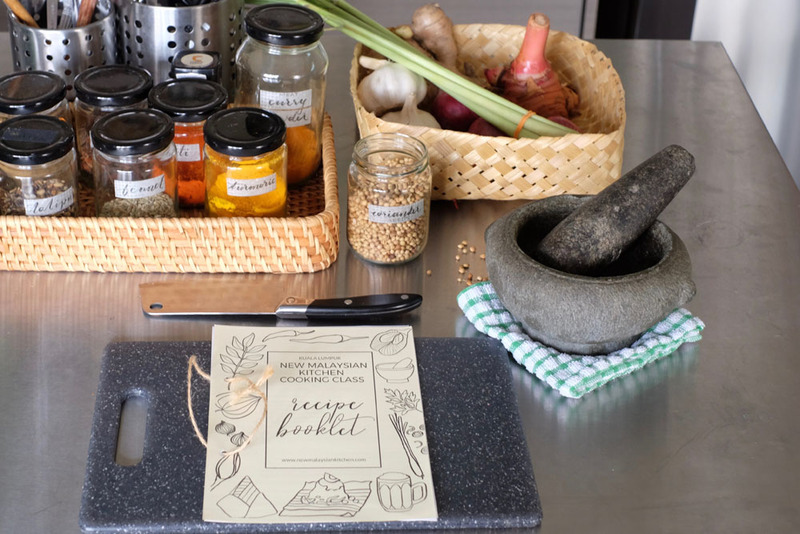 With my expert guidance, we will pound spices with a pestle and mortar belonging to my grandmother, make curry soup using 10 local spices and make fish paste from a whole fresh fish. 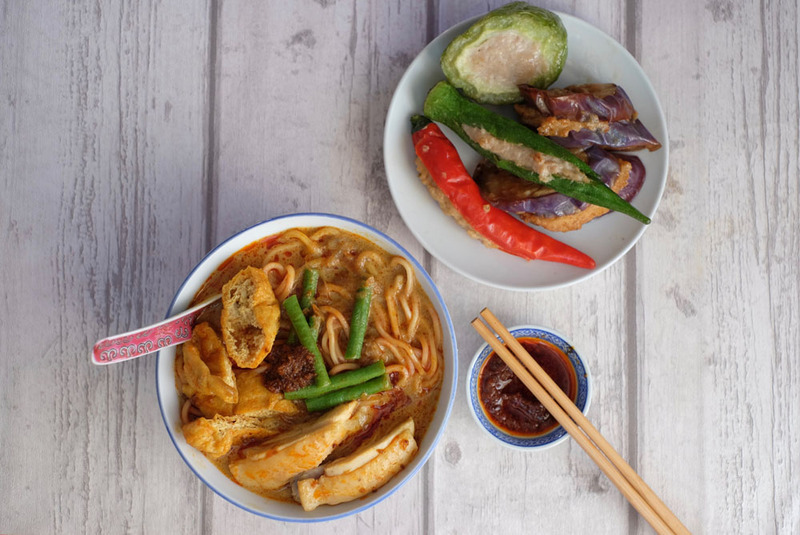 Curry Laksa is listed in Lonely Planet’s Ultimate Eatlist book lists as the second best food experience in the world. The soup is made from spices and coconut milk; while the ingredients includes noodles, fried tofu, cockles, long beans, and chicken. It’s a complicated dish that’s why it’s so delicious! When you order a bowl of curry noodles, you'll normally asked the choice of noodles (egg or rice noodles) and whether you want cockles or not. Cockles is a kind of marine molusc; Malaysians like to eat it half-cooked and sometime bloody. It's an acquired taste; so this is something we won't use in our class. We will make the curry paste from scratch using tropical herbs such as lemongrass, galangal, and candlenut. Though this is a curry noodle and should be spicy enough, Malaysian still eat it with a side of chili: Shrimp Chili Oil. We have a many types of chili sauce in Malaysia, this particular one is made with dried shrimps. This noodle goes extremely well with Yong Tau Foo (literally means 'stuffed tofu'). 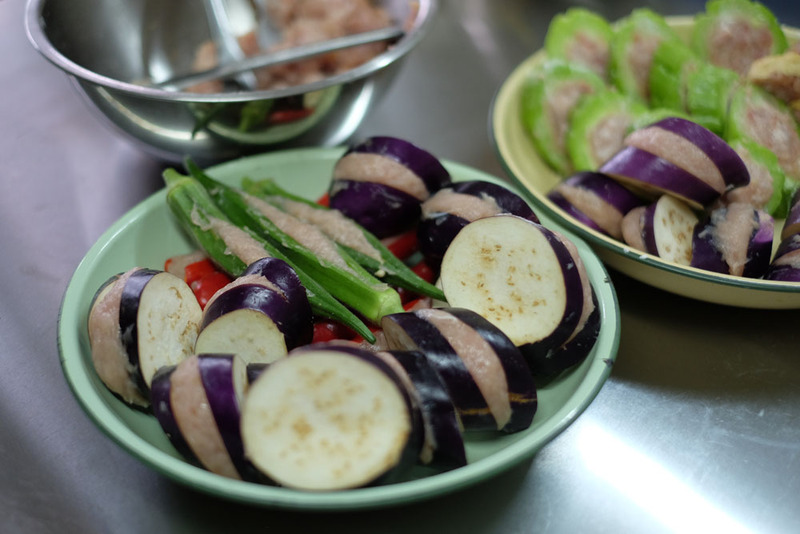 Fresh vegetables such as red chili, ladies fingers, brinjal, and tofu are stuffed with fish paste and then pan-fried. In Malaysian hawker stalls, it's normally served with chee cheong fun (rice noodles) or curry noodles. We'll enjoy the spicy curry noodles and savoury yong tau foo with a glass of refreshing juice. 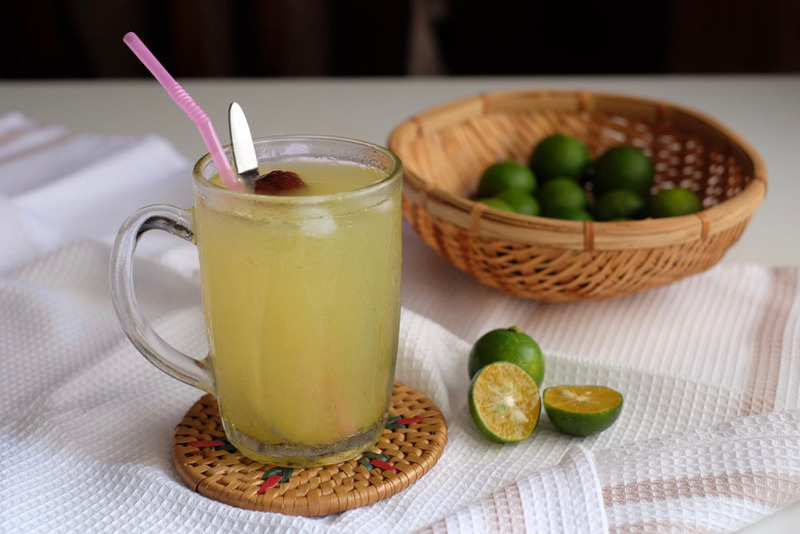 Limau Asam Boi (Lime Juice With Calamansi Lime) is a tangy-sweet drink that is popular in Malaysia and Singapore. This menu consist two of the most time consuming traditional food of Malaysia. 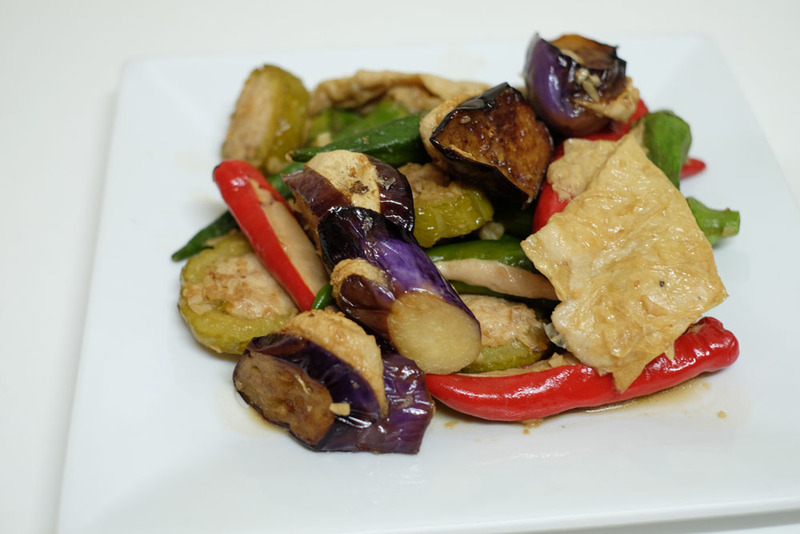 Modern Malaysians do not cook this at home often, but they are the top choices when eating out!